I haven't posted a Monday Musing for a while so thought an inspirational post was due! I don't know about you but this weather is throwing me all out of sorts with what to wear, Saturday was sun and blue skies and today is rain, wind and more rain, typical English weather I guess? With this confusing forecast in mind and the fact that I travel the Central Line to work every day (hottest line ever!) a midi skirt seems to be a good choice for keeping covered up but still a bit of flesh on show. Im obsessed with the mid skirt. Great photos! 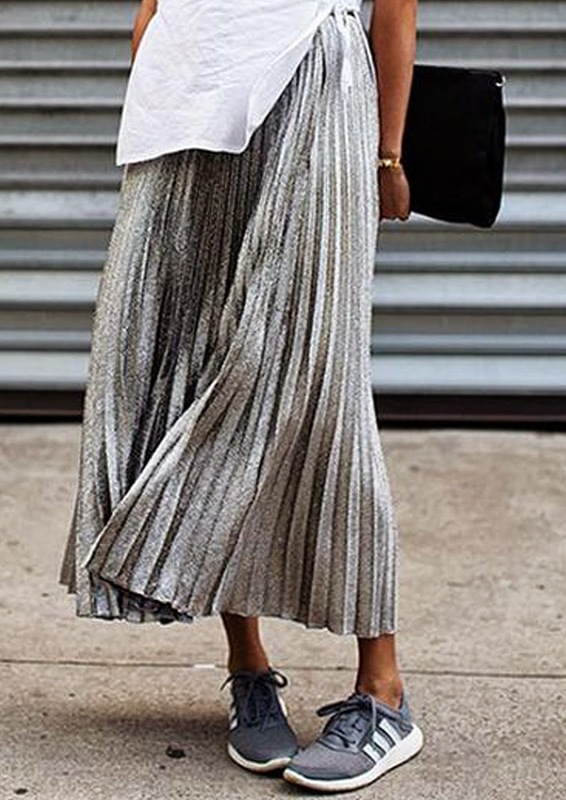 Midi skirts are actually perfect for this weather, I love the selection that you've chosen! I've always preferred midi skirts this time of year, chic and versatile! Thinking I deffo need to make some room in my wardrobe for a midi skirt! So much inspiration! love how they look! totally want one too. That's amazing collection of the skirt, love it so much. I have a black pleated midi skirt (the same on 5th photo). really love it!